In the series, Elana Afrika-Bredenkamp plays Madame Speaker. The opposition parties are represented by guests each week, and there are also guest participants in each episode. 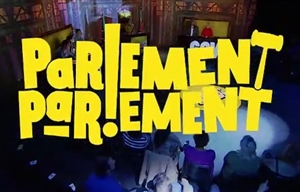 CHANNEL: kykNET | Comedy panel show in which comedians take over "parliament" to discuss the issues that really matter.